Driving a truck weighing as much as 80,000 pounds is a huge responsibility and requires a trucker to have a higher level of knowledge, experience, skills, and abilities than drivers of passenger vehicles. Not just anyone can get behind the wheel of a truck. A trucker is required to have special training and obtain a commercial driver’s license (CDL) under the Federal Motor Carrier Safety Administration (FMCSA) regulations and the state law where the trucker lives. The trucking company hiring drivers has a responsibility to provide proper training, be certain applicants have a valid commercial driver’s license, and ensure they are qualified to drive a truck. With the shortage of truck drivers and the need to get goods transported quickly, trucking companies and truckers often cut corners on training, and some truck drivers are driving trucks without the proper commercial driver’s license for the specific truck they are driving or lack the experience driving such a massive vehicle that they need. Drivers of other vehicles and their passengers are sadly the victims of horrific accidents caused by the truck driver’s lack of training and experience. 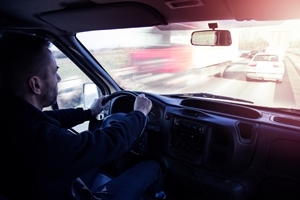 What Is Required to Obtain a CDL? Once the 14-day permit period has expired, the applicant must pass all three parts of the Skills Test, the Vehicle Inspection Test, the Basic Controls Test, and the Road Test to obtain his CDL. Licenses are divided into classes known as A, B, and C, and determine what type of truck a trucker can drive. For example, a Class A license allows a trucker to drive a truck with a combined weight of 26,001 pounds, with the trailer weighing 10,000 pounds. A trucker with a Class B license can only drive a single vehicle weighing no more than 26,001 pounds, while a trucker with a Class C license can drive a vehicle that does not meet the definition of a Class A or Class B vehicle but is designed to transport 16 or more passengers or certain hazardous materials. For more information, visit the FMSCA website. Victims of truck accidents caused by poorly trained and inexperienced truck drivers can suffer life-altering injuries like burns, amputations, paralysis, spinal cord and back injuries, traumatic brain injury, or death. If you or a family member was injured in a crash caused by a trucker, you need an experienced truck accident attorney who understands the federal and state requirements for obtaining a CDL and the safety requirements truck companies and their drivers must follow. Start an online chat or call our firm at 706-863-6600 to schedule a free, no-obligation consultation.